With a fast 12-bit TRMS digital acquisition system, F201 clamps offer particularly accurate measurements. 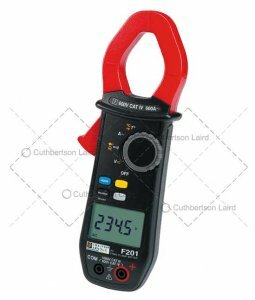 Due to their large bandwidth and high crest factor, these clamps guarantee accurate measurements whatever the type of signal. Electrical safety as per IEC 61010: 600V CAT IV. Chauvin F201 Warranty: 1 year.